Bang Rajan was made on a budget of around 50 million baht, which is about four times the cost of other Thai productions being made at the time. It was a box-office hit in Thailand, earning more than 300 million baht. The film was screened at several film festivals in 2001, including the Seattle International Film Festival, Toronto International Film Festival, the Vancouver International Film Festival and the Hawaii International Film Festival. At the Asia Pacific Film Festival, it won for best art direction. It was screen at the Fantasia Festival in Montreal in 2003, where it won second prize for Best Asian Film. In 2004, the film was “presented” by Oliver Stone in a limited release in US cinemas, while he also gave a role to the protagonist, Jaran Ngamdee, in “Alexander”. There is also a sequel, but it is not as good as the original. In 1767, Burma invaded Siam, won a number of battles and was very close to the capital Ayutthaya. The only significant obstacle, up to that point, was a village, Bang Rajan, where the people from the nearby areas who wanted to resists have gathered. Among them was Thammachote, a monk and spiritual leader respected by everyone. The village’s guerrilla army has many successes against the more organised, but unsuspecting and arrogant Burmese army, magnificently using the thick forests that surround the area and guerrilla tactics. 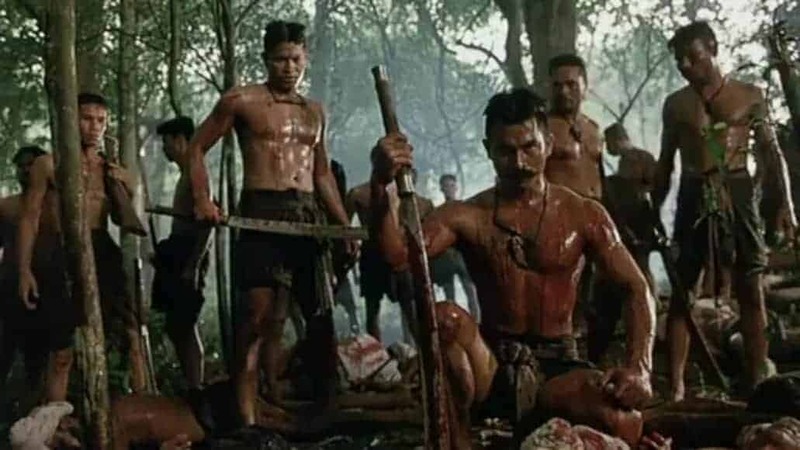 Nai Taen is the military leader of the village, until he is seriously injured on his knee, thus giving his place, after a decision made by the village’s council, to Nai Chan Nuad Kheo, who was fighting the Burmese independently, with a small band of warriors. Kheo was quite famous in the area, due to his hatred for the enemy, his military abilities, and his magnificent mustache (it is truly grandiose). The rest of the film describes the lives of the villagers and their battles against the Burmese. Tanit Jitnukul pens and directs a true epic, that benefits the most from its utterly impressive, but also very realistic battles. This realism is chiefly achieved through the chaos depicted in each battle, where each warrior seems to act on his own, without the precision usually associated with similar Hollywood productions. This tactic results in the scenes accurately portraying the despair and mayhem associated with guerrilla warfare. Particularly the hand-to-hand combat scenes are brilliant, exemplifying the work done by both the fight coordinators and the stuntmen. Ramindhra’s sound also plays a major role in this, particularly in the many instances where metal meets flesh, that sound at least as brutal as they look. Wichian Ruangwijchayakul’s cinematography also functions in the same, non-nonsense fashion, a trait becoming quite evident by the times the camera is splashed with mud as warriors fight all over the frame. The film includes a number of iconic sequences, but the one that definitely stands apart comes when Tong Menn, the village’s drunk rushes into the battle on top of a water buffallo, swinging two huge axes. The depiction of the era is also quite realistic, as the village and the people are accurately portrayed, along with their traditions and composure. However, Jitnikul has also included much melodrama in the film, in a number of relationships (mother and son, husband and wife, soldier and enemy), which occasionally seem hyperbolic, although the consecutive battle scenes eventually rescue the movie from becoming a melodrama. Another very interesting aspect of the film is Sunij Asavinikul’s editing, which is much more faster than anything you have probably seen. In that fashion, when a character describes a battle plan, the scene immediately changes to the actual battle, in a technique that may be confusing in the beginning. Jaran Ngamdee as Nai Chan Nuad Kheo and Theerayut Pratyabamrung as Thammachote are the ones that stand apart in terms of acting, with the film taking advantage of the former’s appearance, as he is considered one of the most beautiful men in the country. In general, most of the actors are impressively built, actually reminding me of the ones in “300,” although in their Thai edition. “Bang Rajan” is a magnificent film, a true epic that will definitely satisfy all fans of the genre, even the ones of the similar Hollywood blockbusters.